Saturday was very windy. Ed and I sat around and he got me started on Apple's new multimedia authoring system. Apple is going to try to repeat its success in taking over the music business with the text book business. They have a free authoring tool, and an iTunes like ecommerce site where books cannot cost more than $15. Apple keeps $5 and the publisher gets the rest. Really beautiful books can be produced with sound, video, animation and interactivity. However, the books can only be viewed on the iPad. As I have learned over the years the labor required to produce these books is substantial, but if you can sell a million copies its very worthwhile. You can see video of the Jan 19, 2012 announcement here. Sunday we went to Key West. Lunch was at the Blue Heaven restaurant where only breakfast is served all day. Mavis had the lobster BLT (see photo). 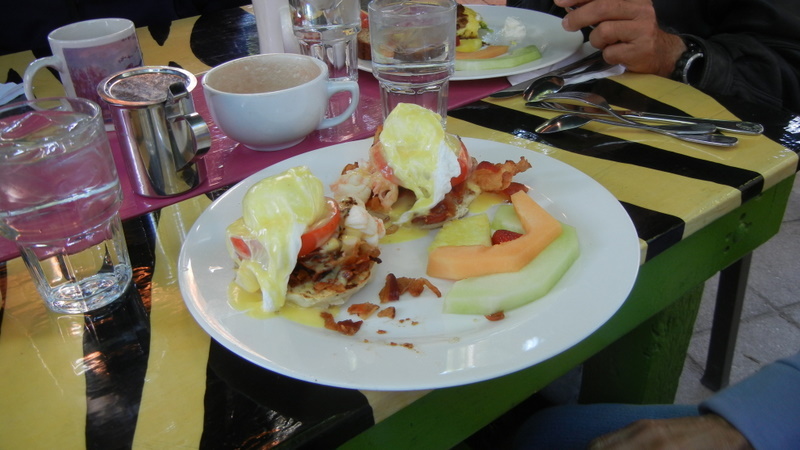 It was more like a eggs benedicts with lobster, bacon and tomato. After breakfast we toured the Truman Little White House and wandered about the Truman Annex (old naval base) which is much like Seaside, FL but very old. Tour buses are not allowed so it is very peaceful. 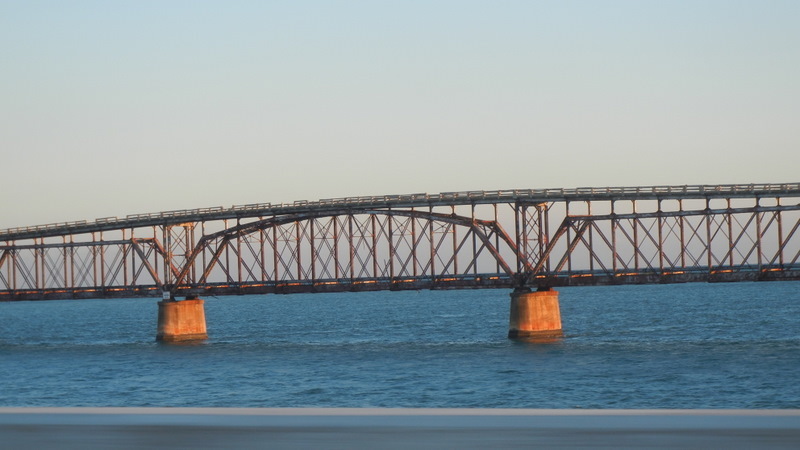 On the way back we passed the last remaining piece of the Flagler Railroad Bridge which was converted to a road by putting the roadway on top of the spans. Could this could be a solution to the Eggners Ferry bridge missing span? 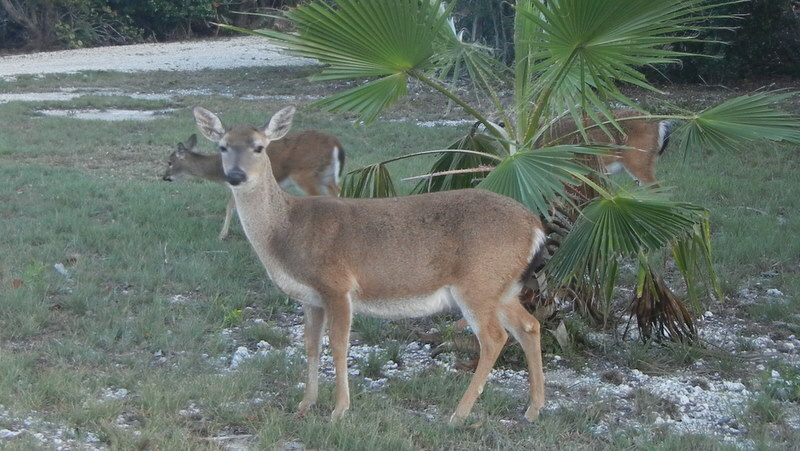 On one of the Keys we went down a side road Ed knew and saw the Key Deer getting into everyone's gardens. We are going to stay here at Pelican RV Park until Thursday.